John Quine junior was born and brought up at Arderry. As a young man, John took on the tenancy of mountain land above the farm from the Duke of Athol between 1815 and 1821. John courted and married Jane Callow - the girl next door. Arderry looked across the East Baldwin valley towards Ballachrink, where the Callows farmed in a small way. Janes father William Callow had been in his 50s when he married, Janes mother being Esther Garrett of Ulican in West Baldwin. Athough Jane had numerous aunts and uncles on both sides, and there were many male Callow cousins living in Braddan, because her parents were both the eldest children in their families, and Jane was an only child, she was heiress to her fathers and maternal grandfathers small holdings in East and West Baldwin. John Quine married Jane with her parents consent, and moved acoss the valley to live with the Callows. John Quine entered the birth of their children in an 1819 Manx Bible. The elder children were taken for baptism to old Kirk Braddan church; after St. Lukes chapel of ease at Baldwin was consecrated in 1839 there was a much shorter journey. One child Edmund Thomas died in infancy, and his name was never entered in the bible. The Quines were converts to Wesleyan Methodism, probably before the 1820s when a school-house was built on part of Quiggins croft to serve the adherants in the East Baldwin valley. This still stands on the lower side of the road, near the entrance to Ballachrink. It is now the 1st Douglas Scouts bunkhouse. 1. The lowest part of the southern approach to the mountain, between the back road behind Ballagarey, and the top of Ulican Intack. This was very convenient to Ballachrink, and is still part of the farm. 2. A large sloping parcel of 90 acres on the north-west face of Carraghyn (Moaney Carraghyn) bounded by the head-waters of the River Glass. This was enclosed by the Quines with extensive dry-stone walling, and retained until the 1920s, when it was sold to the Spittall family who now own it. 3. An uninclosed strip running up from the Bayr ny Ree up over the summit. This was completely impractical to retain or enclose, and was immediately sold to Alexander Spittall. In 1832 Janes husband John Quine had bought another of the lower parcels known as the Pairk (adjoining 1) himself, for £9, and this remains part of the Ballachrink tops. It was around 1850 that the old Callow home at Ballachrink burned down, reputedly by a candle setting light to the bedroom curtains. It could be that the house was thatched. John Quine built a new house on a different site, and his father old John of Arderry helped him out financially. No memory has been handed down as to where the family lived during the rebuilding - would grandfather and uncle Robin have given them house-room at Arderry? The new house stood further north on Ballachrink than the old Callow home, and John Quine had it built to a more elaborate design than his fathers house on Arderry. On the ground floor there were still two front rooms, flanking a central doorway, but the left hand room had two windows in the front. The hall was deeper, with a tiled floor, and gave access to a dairy on the right behind the dining room. There was a small kitchen behind the best parlour, reached by passing under the second flight of the stairway and turning left under the half-landing. On the first floor there were four good sized bedrooms and a box-room over the front door, while the stairway continued to the large attics with matchboard partitioning, and lit by gable windows. Here was kept the meal chest which was filled once a year with oatmeal which was a staple of the diet. The dairy housed a butter churn which was driven by a circular horse-walk alongside the gable of the house. A later member of the family remembered that tapping on the dairy window was the signal for the horse to stop, or walk on. Due to the slope of the land, there was a high drystone retaing wall at the rear of the house; built into this were storage recesses, and behind a cistern fed by water from the nearby stream. A pathway ran between the back wall of the house and the retaining wall, in an unsuccessful attempt to keep dampness out of the house. Alongside the north gable of the house was a two-seater dry privy, with front and rear doors! To then side was an enclosed pit accessed for emptying through a low doorway from the farm road alongside. Also projecting into the road was the semi-circular retaining wall to the horse-walk. Outside the house was the traditional four-square design, with a central ridge and massive chimney stacks rising from each gable. Set into the southern gable about half way up was a limestone block engraved J.Q. and the date - sadly eroded during recent memory. John also recorded details of the evening service. Jane had donated a small parcel of the field at the north east corner of the farm, where the stream marking the boundary with Ballagarey passed under the East Baldwin road, as a site for the new chapel. It is difficult to establish what the relationship may have been between John and his batchelor brother Robert across the valley at Arderry [known in the family as Uncle Robin]. They had fought a bitter lawsuit after their fathers death. John had not named any of his five sons after Robert, although he had used the names of all his other close relatives. Until the Wills Act 1869 became law, a Manx landowner who had acquired his property otherwise than by purchase had to take decisive steps if he wished to dis-inherit his heir at law. He was not free to dispose of his land and houses by his will, although he could leave his cash, investments, and other chattels to whomever he wished. This changed in 1869, and by the time Robert died on 3rd December 1876 he could have left all his property by will. He chose to die intestate, and all his real estate passsed by heirship to his elder brother John of Ballachrink. About the same time he built the new house at Ballachrink, John Quine built a new range of outbuildings extending south from the house towards the old complex. These have all disappeared, but provided the usual range of cow shed and stables on the ground floor, with barns above, accessed from the stackyard at a higher level. At the end of the range next to the house were the wash-house, on the ground floor, with an outside stairway at the back up to the room where the farm workmen slept. A group of single storey buildings at the south end of the farmyard included the cart house with pyramidal roof, and pig-sty. The combined granary and potato shed is a gem of a vernacular building which happily survives. During the 1860s a controversy raged in the Island over the usage of the Common Lands. Research was carried out into licenced and uninclosed intacks, and a final boundary was laid down between the farm and intack lands and the Commons. These were then apportioned into three: one for the Crown; the Commoners Allottment, and the sale allottment, whhich was to be disposed of to pay for road and wall building. The Callows had an additional intack adjoining Egypt, not enclosed in 1828, which it is assumed John Quine enclosed. After the Disafforesting Act, John bought a triangle of land between Egypt and Glen Feeagh, extending to 20 acres. At the same time Alexander Spittall bought 254 acres of hill behind Injebreck which adjoined Moaney Carraghyn.. The value placed on Pennypot Intack (Egypt) seems surprising, and it should be noted that most of Arderry and the Quines part of Creg y Cowin belonged to his brother Robert. John and Jane executed a sale in trust of all their property, on 14th January 1873. In this they disinherited their eldest son, John, except for an annuity of £20, commencing after they had both died. The property was then left jointly to Benjamin Samuel and Thomas Edmund with the proviso that if either of them died without issue, the surviver would inherit all. There was no provision for a widow of a childless son. 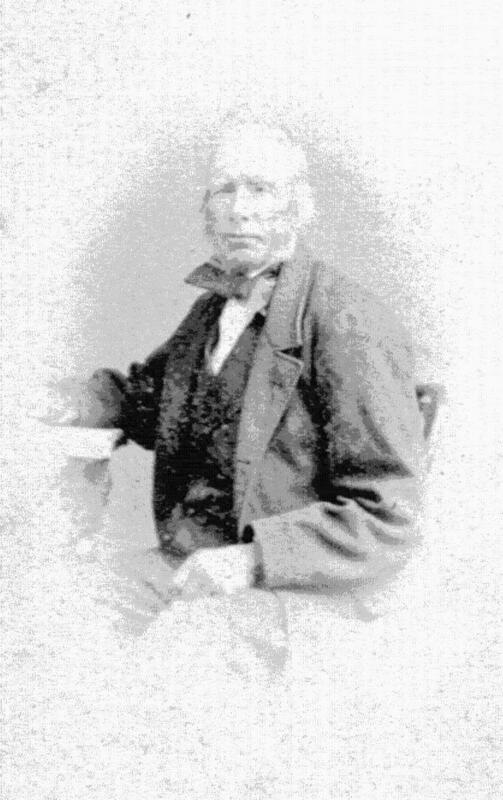 In the 1870s, John Quine acted as Trustee of Eary Ween on behalf of his late cousin William Cowley, the farm being let at £87 per annum, out of which an annuity and mortgage were payable. After John's brother Robert of Arderry died intestate, John and Jane found it necessary to make a further family settlement by a trust deed; Creg-y-Cowin being now settled on their son Benjamin Samuel, and Arderry on Thomas Edmund. Subsequently Benjamin died without issue in his fathers lifetime, and a new settlement of Creg-y-Cowin on Thomas E. was made. It was as a result of Johns two brothers dying unmarried, and his three oldest sons dying without issue, that the various properties all passed to T.E. Quine. There was never any suggestion that land might pass to a sister or daughter except as the ultimate heir at law, however other provision was made for those who did not inherit land. It seems that John and Jane gave dowries to their daughters on marriage; but also made further generous provisions by their joint will dated 1874, and in the family trust deeds, to take effect after their deaths. Their youngest son T.E. eventually had to find £1320 in legacies, as he recorded in his account book. Reading between the lines, it appears that £100 had been given to each of the daughters on marriage, and some probably received further advances. Esther appears to have received the most - some £550, but this is probably because as the youngest she received nothing while her parents were alive. During the late 1870';s studio portraits were taken of John and Jane Quine, still much prized by their descendants. They passed away in 1881 and 1888, leaving a large posterity behind them, but so far still no Quine grandson to carry on the name. Jane and John were buried in their plot at St. Luke's Churchyard, Baldwin.